Looking for easy and fun bible school crafts? 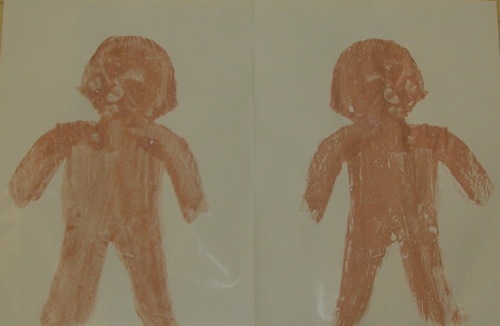 Try this painting activity when teaching the story of the famous twin brothers Jacob and Esau. This bible crafts for children focuses on the physical differences between Jacob and Esau while incorporating the fact that they are twins. I believe the children like this activity so much because of its simplicity. You can read the story of Jacob and Esau to refresh your memory and view points of discussion. 1. Fold the paper in half. 2. Paint an image of a person using the skin color paint on half the page. 3. Fold the page so the image will print on the other half of the page. (This represents that Jacob and Esau were twins). 4. Let the paint dry for a few minutes. 5. 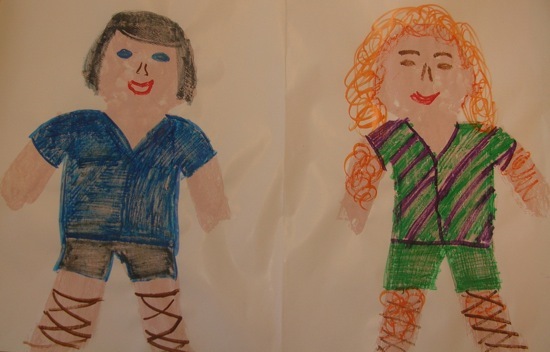 Using the markers or crayons to turn the body images into Jacob and Esau. Keep in mind the differences between the two.